It's one of the most valued perks for plug-in electric car buyers in California: the coveted green or white sticker that lets them travel in the carpool lane with just a single person in the car. But under current law, those stickers expire on January 1, 2015--just as the yellow stickers for hybrids expired (after an extension) on July 1, 2011. On Friday, California Assemblyman Bob Blumenfield introduced a bill, AB 266, to extend those privileges 10 more years, through January 1, 2025. That would give buyers of various plug-in cars the confidence that their vehicle would retain the privilege for more than 22 months, conceivably throughout their term of ownership. The change of date is the sole alteration proposed by Blumenfield's bill to the program, which otherwise remains as it is today. Under the current program, "white" stickers are given to zero-emission vehicles that include all battery electric vehicles as well as natural-gas and hydrogen powered vehicles, while "green" stickers are given to plug-in hybrids and range-extended electric cars that have both battery propulsion and a gasoline engine. 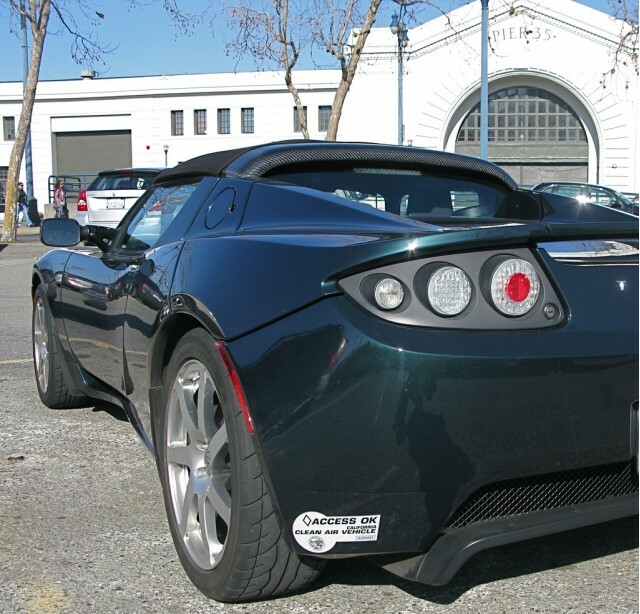 Cars eligible for white stickers include the Nissan Leaf, the Tesla Model S, the Honda Civic GX and Natural Gas models, and a variety of low-volume compliance cars. Cars eligible for green stickers include some 2012 and all 2013 Chevrolet Volts sold in the state, the Toyota Prius Plug-In Hybrid, the Ford C-Max Energi and Fusion Energi, and others to come. The California DMV maintains a full list of vehicles eligible for green and white stickers on its websites. So far, according to the assemblyman's office, about 31,000 white and green stickers have been issued. About 9,000 of those are green stickers, which are capped at 40,000. There is no maximum on the issuance of white stickers. Blumenfield's bill may be heard in committee roughly a month from now, in early March.